Hungry for progress, Nyree Zerega, Ph.D., set off in early June to the forests of Sabah, Malaysia, on the island of Borneo. She was searching for plants in the genus Artocarpus, whose nearly 70 species include jackfruit—the world’s largest tree-borne fruit structure. Her mission? To gather detailed information about species within the genus, including those that could provide food in tropical areas where it is needed most. Dr. Zerega in Sabah with Dr. Joan Pereira, her Malaysian collaborator. 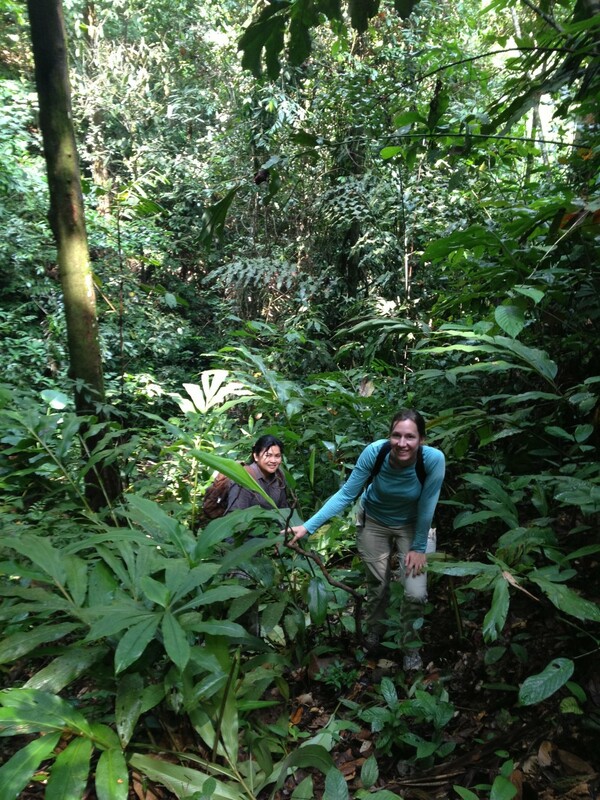 On their research trip this summer, Dr. Zerega, a plant evolutionary biologist at the Chicago Botanic Garden, and her research team crossed a small stream on their way into a tropical forest on the edge of a large oil palm plantation. They searched there for an uncommon species until sunlight faded and the light rain turned to a downpour. On the way back, they found that the stream had grown into a raging river several feet wide and deep. Covered in leeches, they held hands tightly and waded across to safety. On other days, they searched for species with leaves as tall as any one of them, and collected fruit weighing more than 20 pounds apiece. It’s all in a day’s work for Zerega. She has long traveled to places like this, where she works closely with local scientists to study underutilized food-bearing plants. 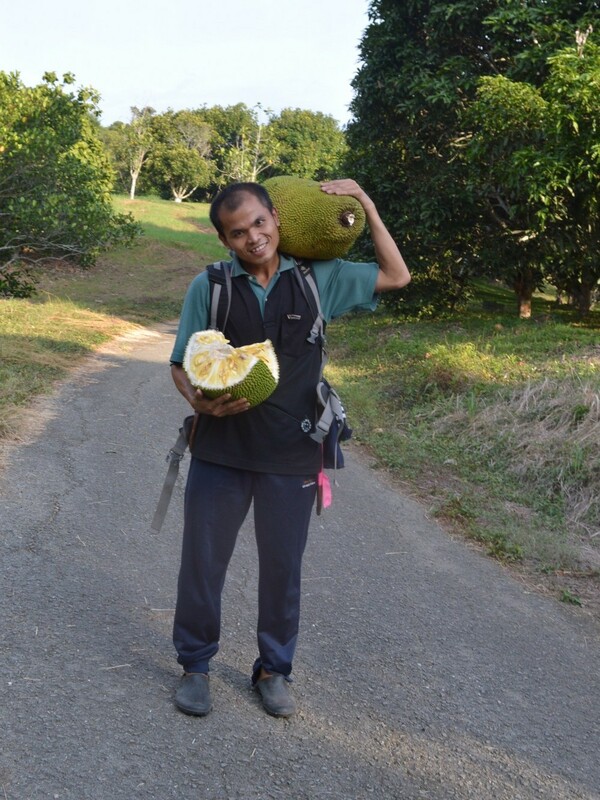 Jeisn Jumian, field assistant, carries jackfruit back from the field for dinner. Currently, she explained, the world relies on roughly 30 species to provide the majority of our food. The top three crops—rice, corn, and wheat—account for approximately 40 percent of all food consumed worldwide. We are merely scratching the surface of the thousands of edible plant species in existence, including at least a dozen in the genus Artocarpus. It’s possible, even likely, that some underutilized crops have as much potential as the current favorites, but simply have not been as developed. “Underutilized crops have the potential to diversify the world’s food supply and improve food security,” said Zerega. She believes the development of these crops, produced close to where they would be consumed, could also reduce the amount of energy used in growing and exporting large quantities of crops around the world. The more options we have, the better off we are, she maintains. Now back in the Harris Family Foundation Plant Genetics Laboratory of the Daniel F. and Ada L. Rice Plant Conservation Science Center, Zerega and her lab members are busy extracting plant DNA from leaves collected in Malaysia. Also the director of the Northwestern University and Chicago Botanic Garden Graduate Program in Plant Biology and Conservation, she has plenty of helping hands from her master’s and doctoral students. “We’ll be studying DNA to understand the evolution of Artocarpus, and patterns of the diversity of cultivated members of the genus, such as jackfruit, breadfruit, and the lesser known cempedak, a species believed to have originated in Malaysia. Understanding and conserving genetic diversity is as critical in crop species as it is in wild species,” she said. 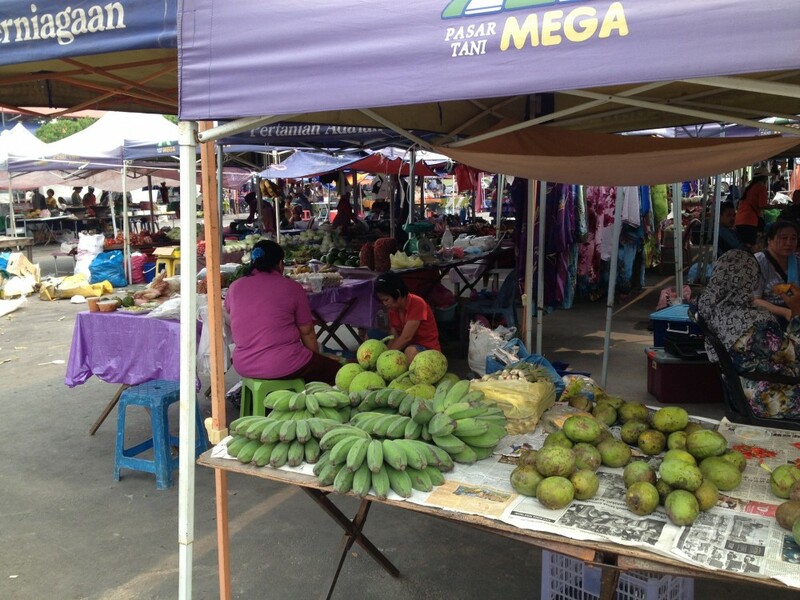 Breadfruit is sold at a market in Sabah, Malaysia. The work is part of a National Science Foundation grant for which Zerega is assembling a taxonomic revision, which is like a genealogical history. It will include descriptions of all the Artocarpus species, how to identify them, where they originated, where they are found today, how they are used, and how they are related to one another. Dried, pressed specimens of all the plant samples used for DNA will be stored in herbaria in Malaysia and the Garden’s Nancy Poole Rich Herbarium. Zerega serves as director of the herbarium. These specimens, along with photographs, serve as documentation of each plant. 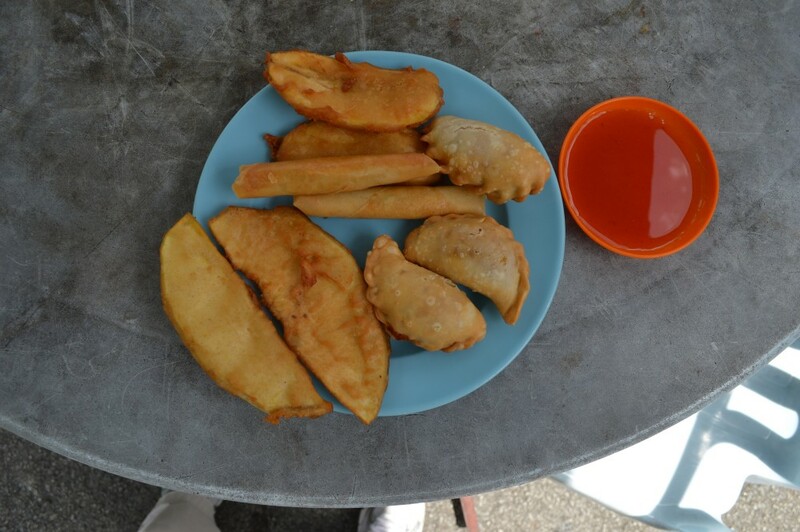 Fried breadfruit from a market near Kuala Lumpur, Malaysia. As she considers her research, Zerega occasionally finds time to stroll her favorite areas of the Garden—the Dixon Prairie and the McDonald Woods. From working with students and collaborating with scientists around the world, she hopes her work will contribute to the conservation of underutilized crop diversity and food security around the world. Although she has already accomplished a great deal, it seems that Zerega’s work so far is just a taste of what is to come. Read more about Zerega’s research in Papua New Guinea, the Northern Mariana Islands, Hawaii, and Bangladesh in the Spring 2013 issue of Keep Growing. Dr. Nyree Zerega, Ph.D. love for breadfruit is clearly seen in picture. I really appreciate the hard work Dr. Nyree and its encouraging to read that she came to the forests of Sabah, Malaysia, on the island of Borneo just for breadfruit. Keep this fire on, Dr.